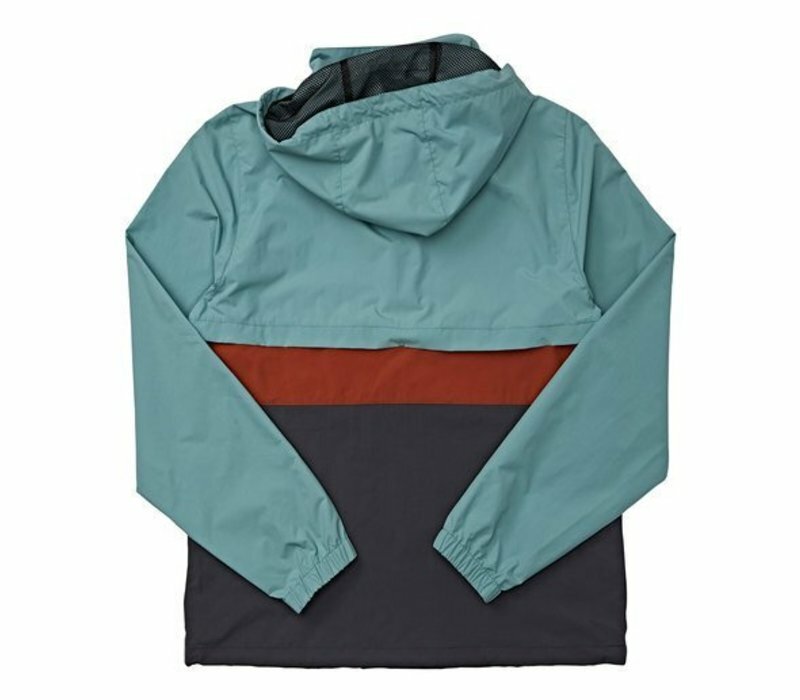 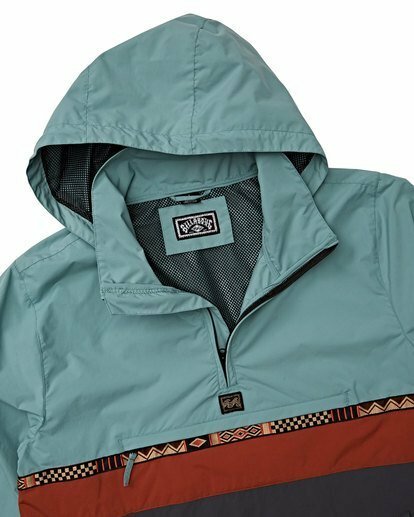 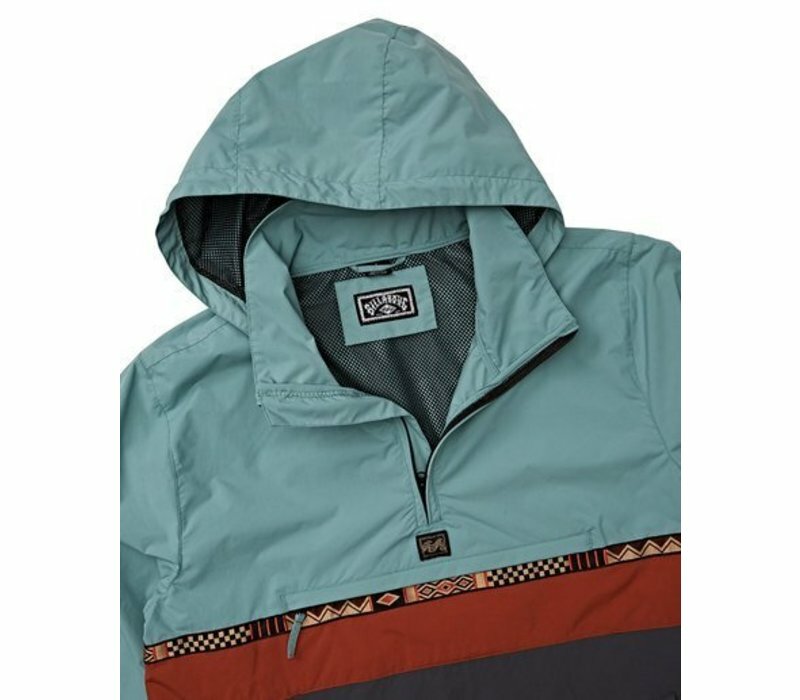 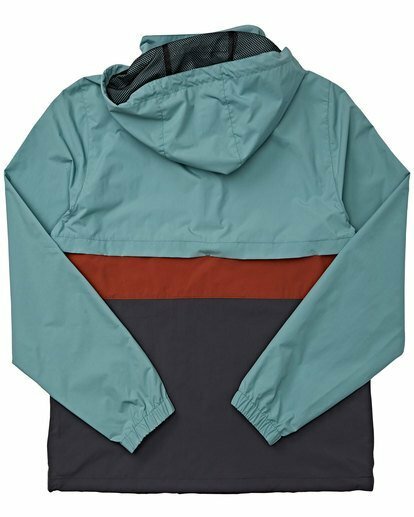 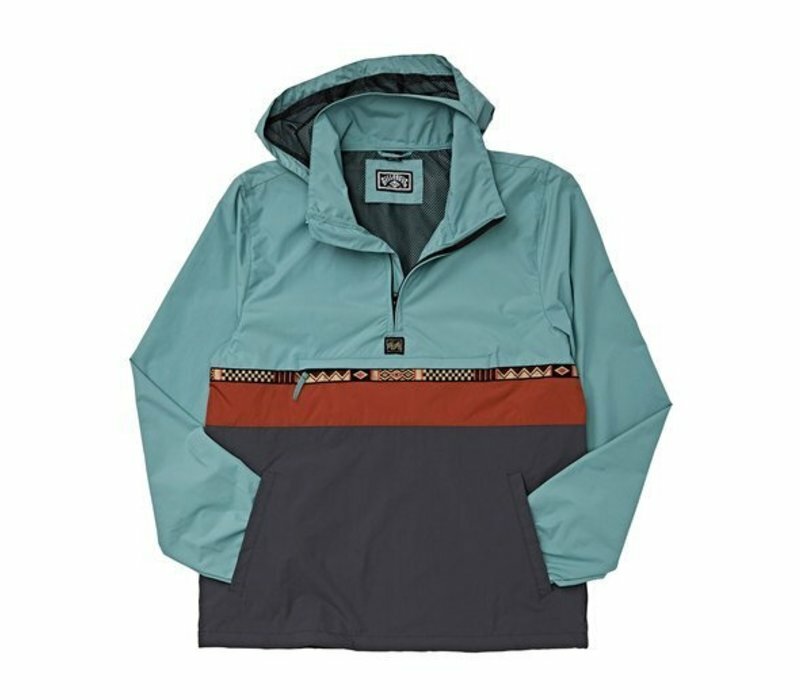 Weather the wind chop with a functional, custom anorak jacket. 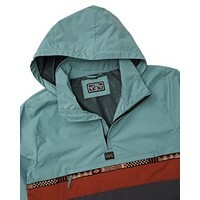 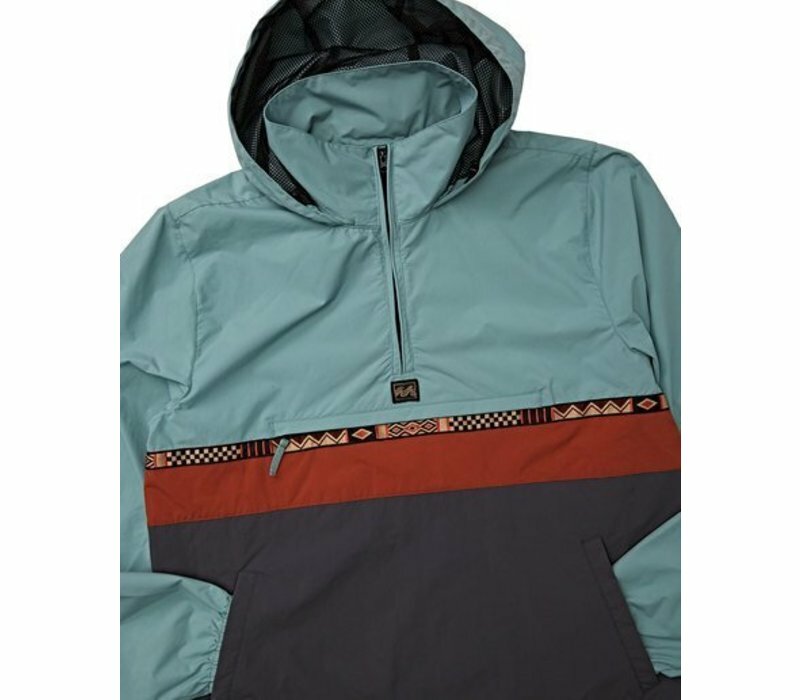 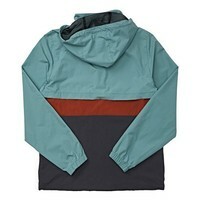 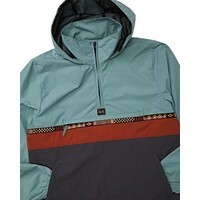 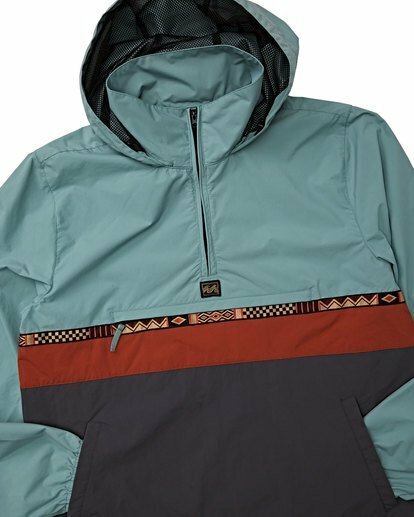 This windbreaker is customized with jacquard taping across the chest. 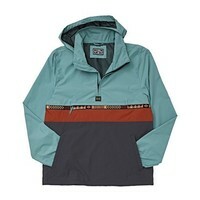 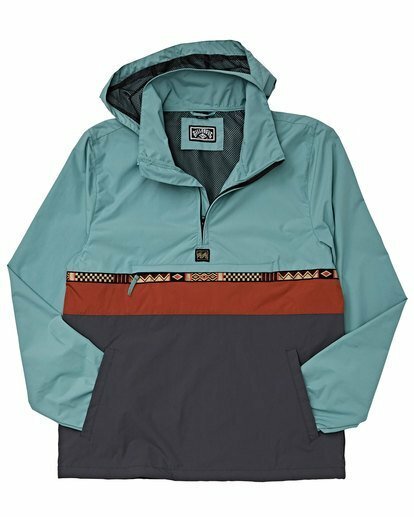 Functional details include a packable hood, welt hand pockets, a large front pouch pocket and adjustable toggles.